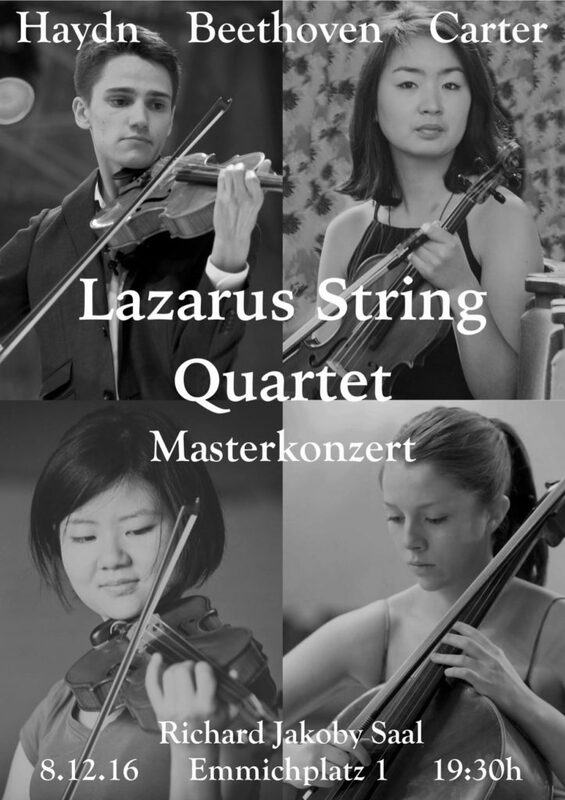 Lazarus String Quartet | Master Concert! Join us for our last concert of 2016 in Hanover – our final concert as master students at the HMTMH!! We are gearing up for a fantastic programme – one of Haydn’s last ever string quartets (Op. 77 No. 1 – written at the ripe age of 69! ), Beethoven’s 3rd Razumovsky quartet, as well as a little something from Elliott Carter.